If you love your kids, then you will know that it is all about independence, courage and self-sufficiency in the child. 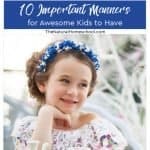 Well, there are some lists in books of age appropriate chores out there, but I love to leave it up to the parent to see what is fit for their child to do at home. 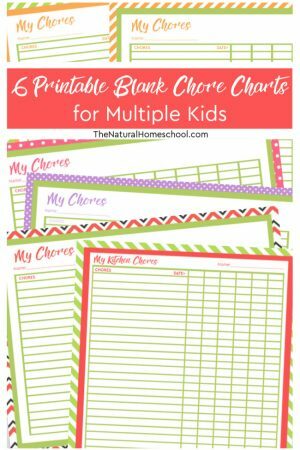 In this post, we will go into the best free sampler of Blank Chore Charts that will inspire you to get your kids helping around the house more, but more importantly, they will be on the right path to independence and responsibility. 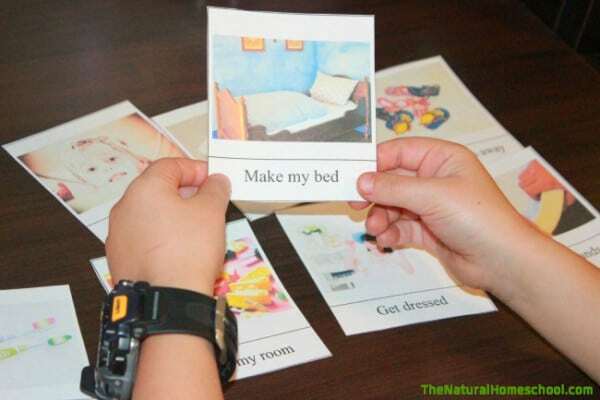 There are many simple and complex jobs or chores that kids can definitely do at home. Our homes will be cleaner, more organized, but this will also do a lot for our children in return. It will give them a sense of belonging in their home and also help them build responsibility and independence. We can try to sort chores by age all day long, but the truth is that all chores come in levels of difficulty. And just like any other life skill, is an upward spiral. That is why we categorize children by age groups. They learn together and revisit the skills, just in increasing degrees if difficulty. By the way, this list is already in the free printable at the end of this post. You will get a copy of a blank chore chart, in green and orange so you can print it out. Then, fill them out with the chores that for your home and your needs. Here is a short list of some tasks that kids can help with in the kitchen. But it isn’t all here! 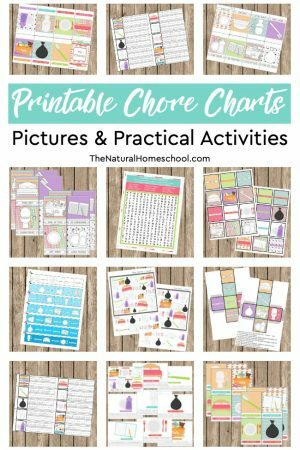 If you like the free blank chore chart printable at the end of this post, then you will love our entire set of blank chore charts! Here is a sampler of blank chore charts for kids. Simply enter your name and email address below. The PDF file will be waiting for you in your inbox! 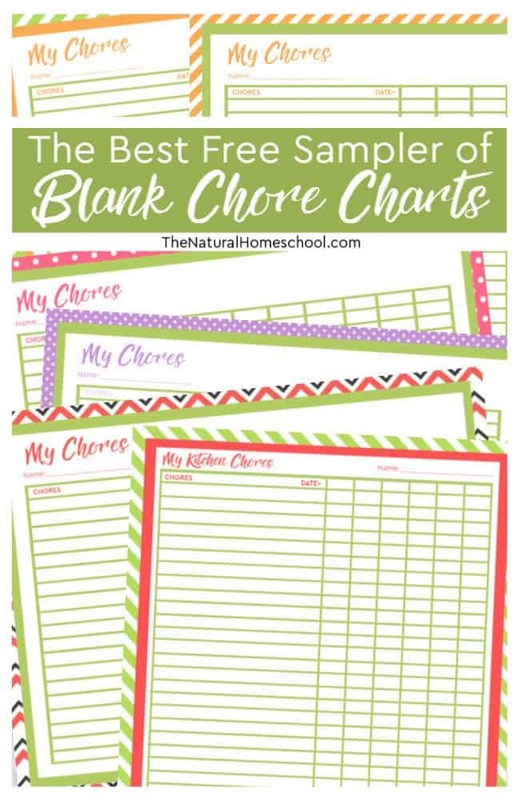 To be clear, you will be getting one sample blank chore chart for free in this download. 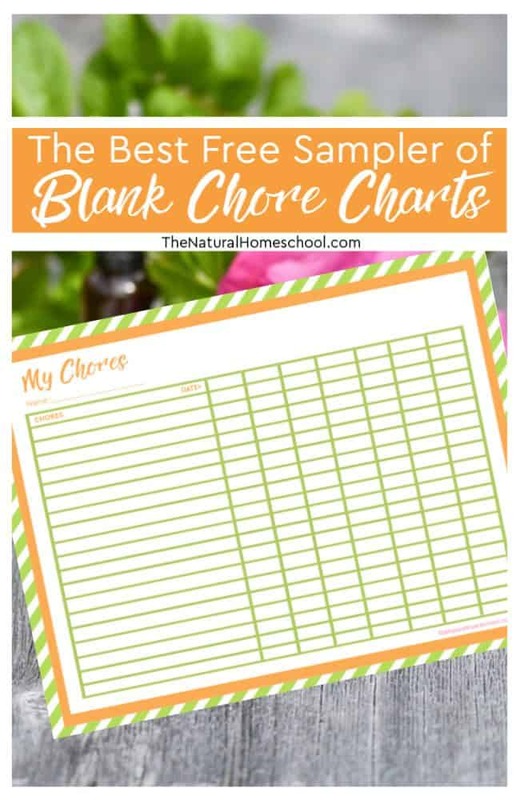 If you like the free blank chore chart printable at the end of this post, then you will love our entire set of blank chore charts! 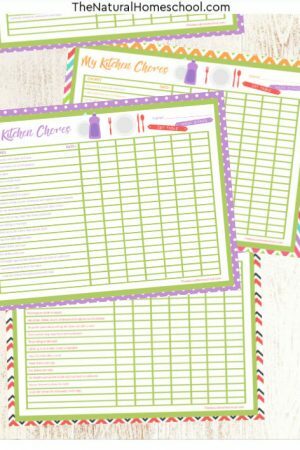 And as a bonus, I am including the chore charts with the full list of chores that kids can do in the kitchen.